The Kinney SLO is a project of Orange County-based Pacifica Hotels. 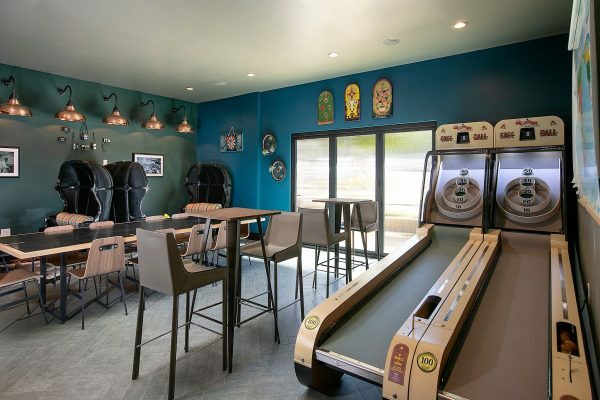 Located at 1800 Monterey Street, the hotel houses Leroy’s, a restaurant and bar with a fast-casual menu, self-serve beer and wine and old-school games, including skee-ball, Connect Four and Scrabble. Some of the games and entertainment are located at an outdoor quad. Additionally, the hotel has business space for up to 100 people. 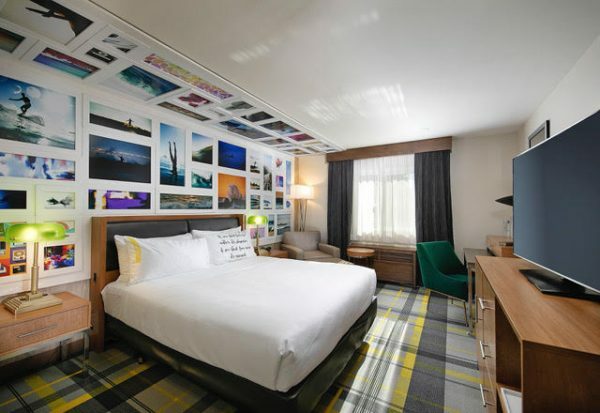 Pacifica Hotels is fashioning The Kinney SLO as a gathering spot and social hub for locals, as well as an accommodation providing a dose of SLO’s collegiate and beach town culture to leisure and business travelers visiting the Central Coast. The new hotel is the second “Kinney” to open, following The Kinney Venice Beach, which opened in 2016. The Kinney SLO is currently offering a grand opening deal of 25 percent off rooms and a $25 dining credit. To view rates and availability, customers can visit TheKinneySLO.com and use promo code GO25. Too bad the “restaurant” model they’ve adopted is terrible and it’s zero surprise that Leroy’s is always dead empty at all times of the day and night when I drive by. $20 for a salad, with a “no table-side service” hospitality decision to boot.